We make Tools To Play With! When you build your music career, you need great tools to play with. and space-saving pedal accessories to help you on your way. Along our 30 year long journey, we have had the privilege to see many of you grow and become professional musicians. Some even celebrated stars. We are proud that you’ve stayed with us and relied on EBS tools along that road. If you are new to EBS, we welcome you and look forward to walk with and support you on your musical journey too. EBS Professional Bass Equipment - Don't Play Without It! 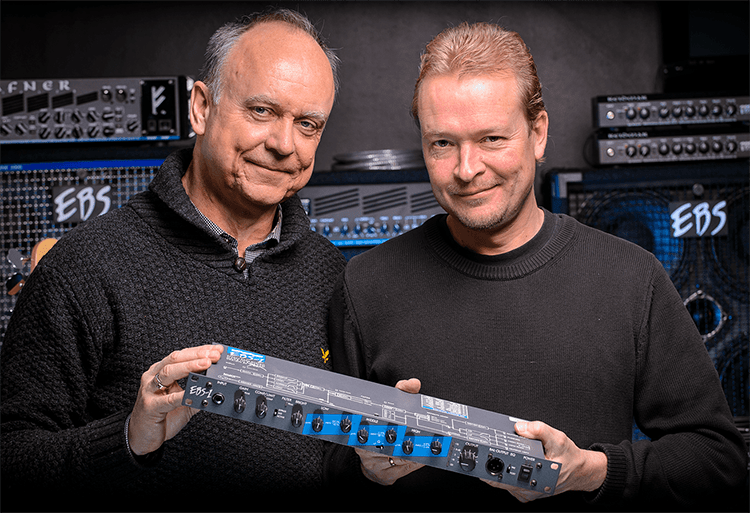 Photo: EBS Sweden AB design professional equipment for bass players since 1988, when CEO Bo L. Engberg and Technical Director Mats Kristoffersson founded the company and released the EBS-1, rack mounted preamp. We are happy to guide you if you have an idea what you need, but not sure which tool that will provide it. Send in your question here! Go here for EBS Dealers. EBS SWEDEN AB is an AAA-certified company in accordance with Soliditet's credit-evaluation system.